In many homes, staircases are designed with curves, spirals, balconies, angles and a number of other varying features. Fortunately, many stair lifts are designed with these curves in mind, allowing you to easily circumnavigate them. Here are several popular options that use curved rails and modular design pieces that allow you to customize a lift to all the twists and turns your stairs may offer. 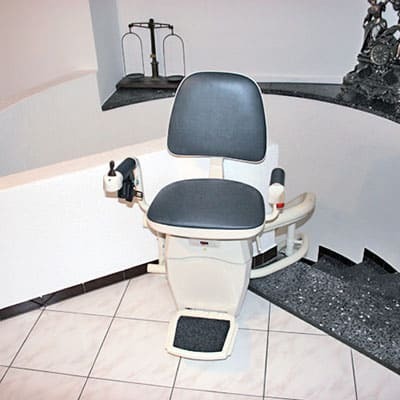 Handicare offers several curved stairlift options, including Rembrandt, Van Gogh, and Vermeer, designed for various kinds of curved stairs. The Vermeer option, for example, is designed for especially long staircases that cover multiple stories. 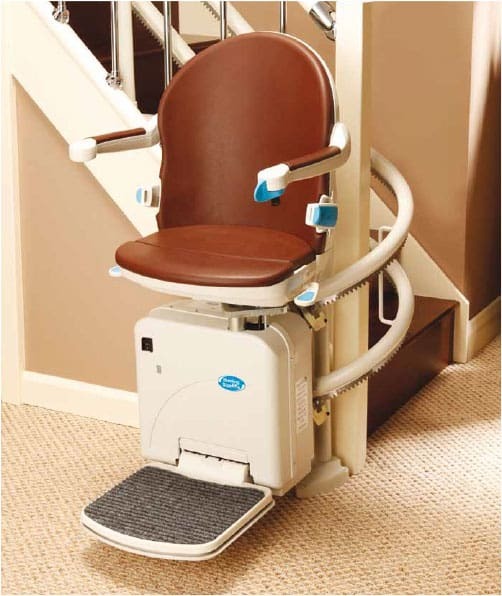 The Rembrandt is focused on navigating especially steep inside curves that other types of lifts may struggle with. The Van Gogh is designed for the outside of stairs. While these models offer a variety of seat types, they are focused on comfort and support, and all come with arm rests. The Handicare 2000 is an armed chair lift that uses a twin rail system for extra support and particularly smooth movement. It has a number of power options to make managing the lift more simple, such a retractable foot plate and a seat swiveling option. There’s also a hinge option that can help navigate doors at the base of stairs and similar issues. 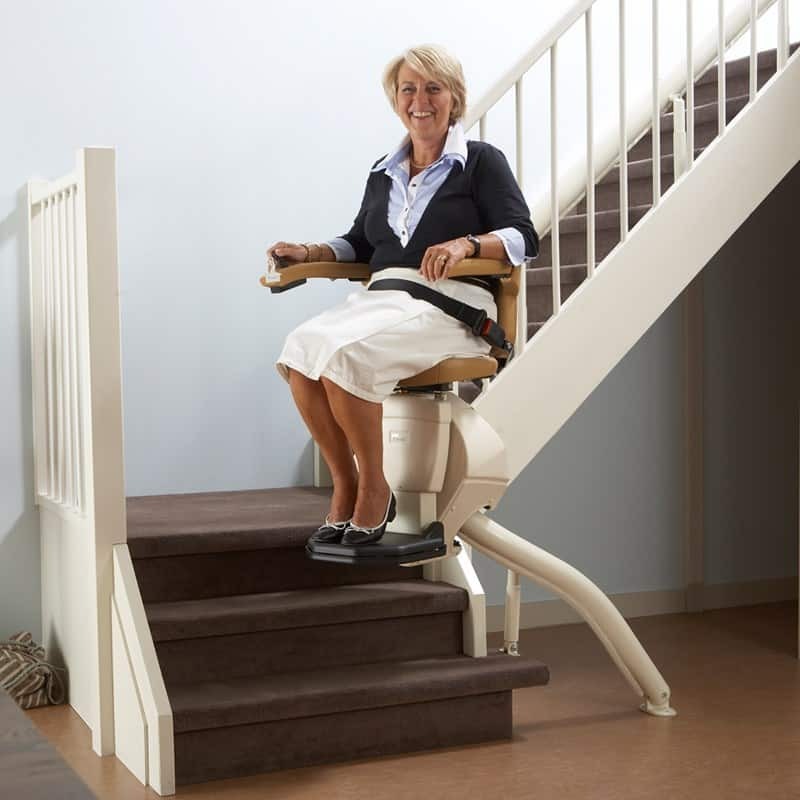 Hawle stairlifts are a versatile product that allow you to navigate a number of difficult stair arrangements. Using this system, you can navigat stairs that rise up to a 75-degree angle, ideal for older houses that may have steeper stairways. From circular staircases to stairs that wrap around balconies or turn several different corners, this system can deal with nearly any design. The Acorn 80 Curved Stair Lift, like many curved lifts, fits onto the stair railing instead of the wall, which makes it easier to follow more complex stair patterns. The Acorn 80 offers both a cushioned seat and a footrest for greater stability. It also has a fold-away design to save on space. Its control come with automatic speed adjustment, which makes the ride smoother. 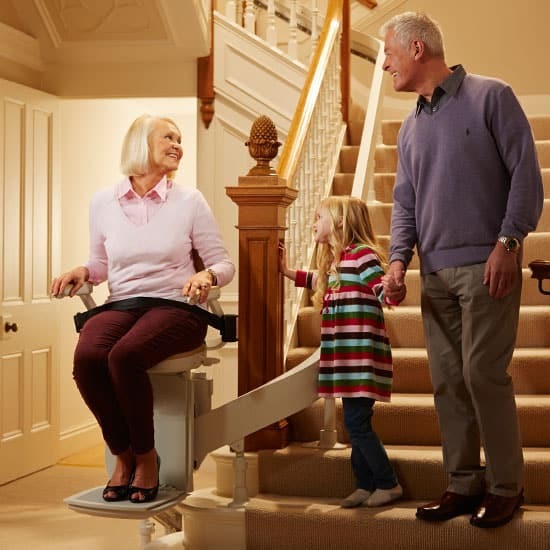 This modular stair lift can be assembled piece by piece as needed, making it easier to create a solution that exactly matches your stair design. No matter how unique your curved staircase, there is a curved stairlift solution that is perfect for you. Thanks to today’s modular designs, extra support, and automated features, lifts can help your or loved ones traverse staircases with greatest ease and minimal impact to the house.